This is the first of the OWH cards I've made. This one will fall into the Love category. 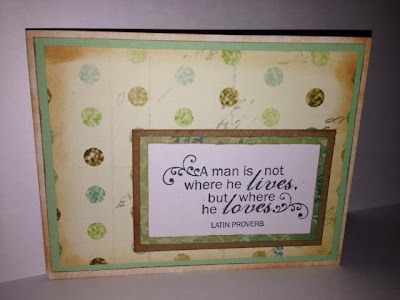 Basic A2 card made with white cardstock and I inked around the edges using Tim Holtz Distress Ink in Tea Dye. 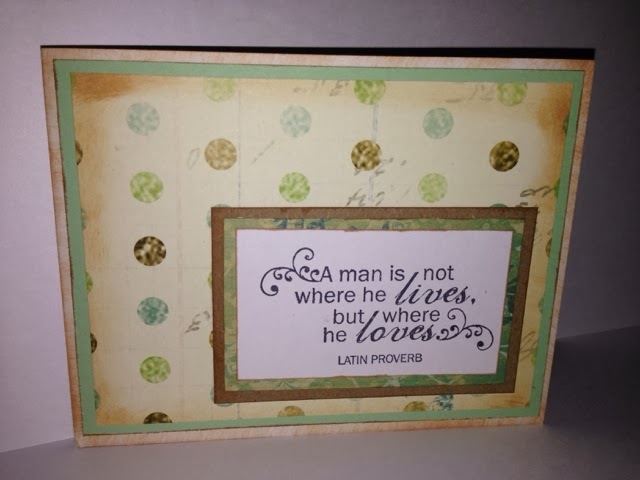 Teal layer - 5 1/4" x 4"
Polka Dot Layer - 5" x 3 3/4"
Kraft Layer - 3 1/2" x 2 1/4"
Teal Flower Layer - 3 1/4" x 2"
Sentiment Layer - 3" x 1 3/4" - stamped with a basic black ink pad using the Fiskars Lasting Love stamp collection. I made six of this design.